Money and relationships can be messy. Couples aren’t taught how to talk about money, but more than that, they aren’t taught that money isn’t just about numbers. Our beliefs, values, experiences, and emotions all play a huge role in how we view and handle money. 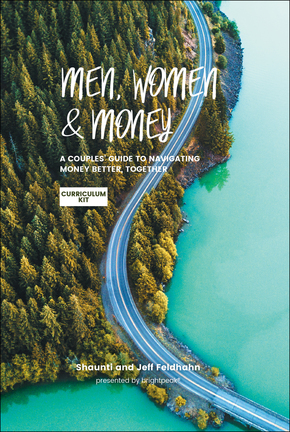 Getting in sync with their partner is the first step toward having good conversations about money. However, that’s made even more difficult by the fact that men and women often handle money differently. The program includes six video sessions, approximately 20-30 minutes each, that introduce a key relationship component, how it applies to money, and what a couple can do about it. To go along with the videos, the kit also includes “His” and “Hers” guidebooks for couples, filled with activities, reflections, and even optional devotionals to help them get the most from the experience. Each component (DVD alone, His Edition, and Her Edition) is also available to purchase separately. brightpeak financial is a division of Thrivent Financial for Lutherans, a membership organization of Christians founded more than a century ago, which is based in Appleton, WI 54919-0001.